Our Method: Examination | Welcome to Peak Performance! On your first visit to Peak Performance, we will examine you for spinal misalignment. 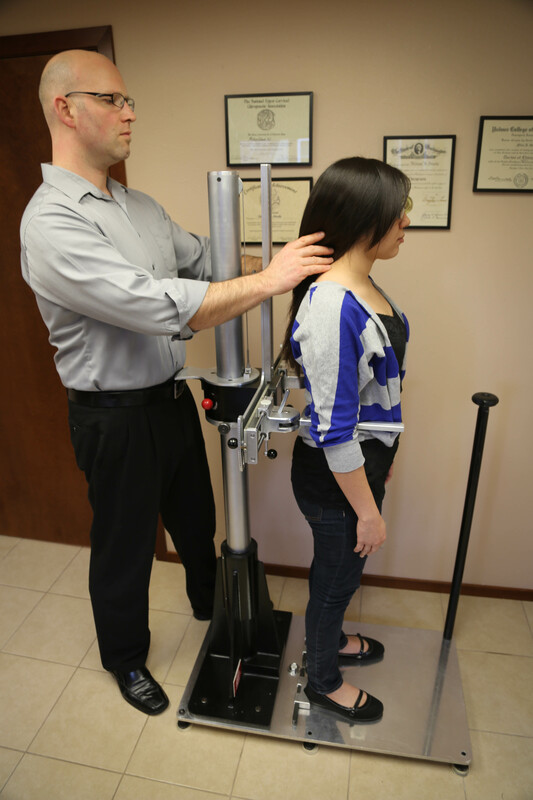 By taking various measurements using X-Rays and Anatometer measurements (assessment of posture), we can determine if an adjustment is needed and what adjustment is appropriate for you. As with all procedures at Peak Performance, this is completely painless and safe. However, even before examination, we ask you for a complete health history to learn about any past traumas, accidents or injuries, surgeries, and other treatment programs you may have followed. We also need to learn about your current health status in order to determine whether upper-cervical chiropractic care is suitable for you. While we believe that upper-cervical care will improve the life and health of almost anyone, however there are certain conditions and diseases for which you should seek medical attention. Remember that at Peak Performance, as chiropractors, we focus on creating health, not “treating” the lack of it. Regardless of your state of health, it is a fact that your body requires proper communication between your brain and body through an open and clear nervous system. Your body will respond to your spine and nervous system being stressed by showing imbalance in several key areas that we can measure. There are three initial measurements that we make at Peak Performance to begin to determine whether and to what degree your spine and nervous system are under stress. First, while you lie on your back, we will very carefully assess your leg length equality: A body out of balance will usually present one leg drawn up shorter than the other. We then use the Anatometer to measure aspects of your posture, such as body lean, hip tilt, and deviation of your head and upper torso to either side. We may also check range of motion and other functions of your body, if so indicated. These tests together show whether or not your body is significantly out of balance. What they don’t show is how much your head and neck are out of alignment. This is the most crucial consideration because here in the brainstem is where the stress to your nervous system has its greatest impact. To determine how your neck is out of alignment, we must take a series of three X-rays. These are very low-dosage X-rays, less radiation than you would absorb on a cross-country flight, but they allow us to measure very precisely how far out of alignment your atlas vertebra is with your skull and the other cervical vertebrae of your spine. This enables us to know exactly how to adjust you- like a blueprint for your unique misalignment.